We help Virtual Reality developers gain Insight and reach new audiences. Get started with the VRtize Analytics platform for free today. We give advertisers and brands access to VR environments. Contact us today to find out how we can help you break into this new and rapidly expanding channel. We help game makers to build great VR games and apps. We help you to understand your users, gain behavioural insight. We are building solutions for 360° film makers and brands that want to leverage 360° formats both in Virtual Reality and Mobile. We are building something great for VR. We are accepting applications from VR pioneers to try our platform out for free and without obligation. 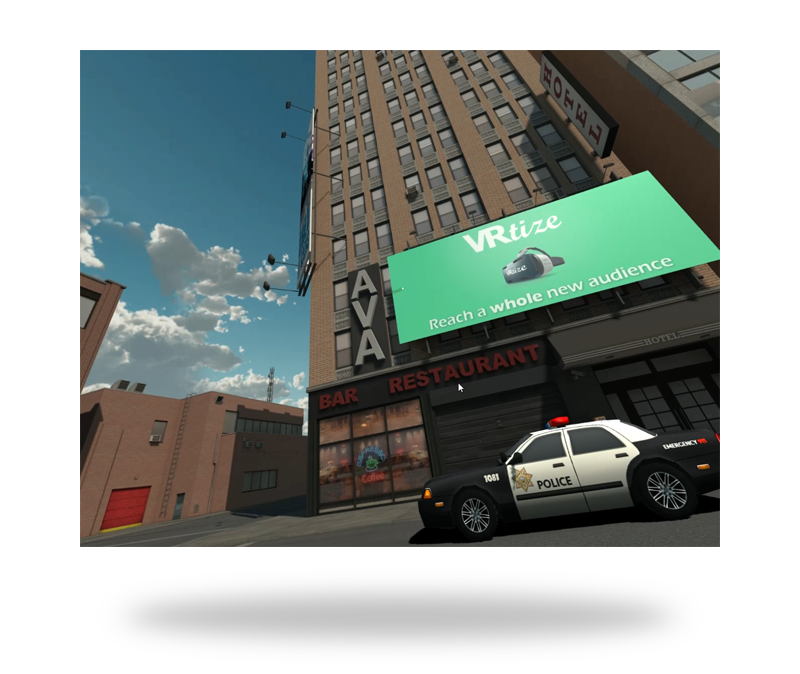 Learn how VRtize is enabling Native Advertising in Virtual Reality. We are passionate about Virtual, Augmented and Mixed Reality. We realise that old advertising technology from the web and mobile era isnt going to translate well to the new paradigm. So we have set out to change that and we have a solution: Native embedded advertising for VR. VR advertising doesn't need to be interruptive, it doesn't need to destroy immersion and presence, and that sort of advertising simply won't be tolerated by VR users. We are moving the goalposts for native advertising and we would be delighted to show Publishers and Developers along with Advertisers and Brands how we'll make advertising in VR a great experience for your users. Any VR Developer, Publisher, Game Maker, Experience Creator, 360 Film Maker can benefit from our incredibly easy to use integrate and Analytics. 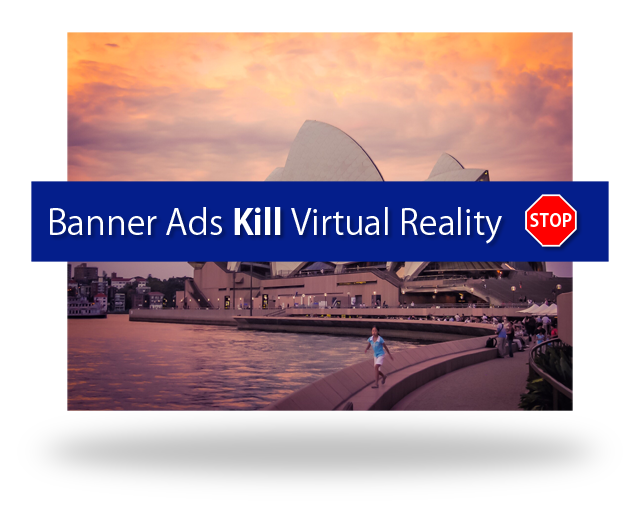 Consumers dislike interruptive advertising with a passion and won't tolerate invasive advertising in Virtual Reality. At VRtize we don't want to see bad advertising destroy Virtual Reality so we have created a much better way forward. Our solution ensures that your message becomes part of the very fabric of the virtual environment. At VRtize, we believe that Virtual Reality will mirror reality and that native advertising is a basic building block of both Virtual and Augmented Reality. Context sensitive and appropriate product placement will rapidly become standard. Imagine a virtual world where any item, be it a soda can or a car, can be branded depending on multiple factors such as location, consumer preferences, or any external indicator. At VRtize we are building a global VR Adtech platform for the next computing platform. Initially we support the Unity3D platform with plans to support Unreal Engine and Cry Engine. At launch we will support Google Cardboard and Gear VR on Android as well as Oculus Rift and HTC Vive and we plan to support all major VR and AR platforms.